Folgarida is a village in the municipality of Dimaro, 1270 meters on the sea level and situated at the base of the Presanella massif, in the heart of the ski area of Val di Sole. 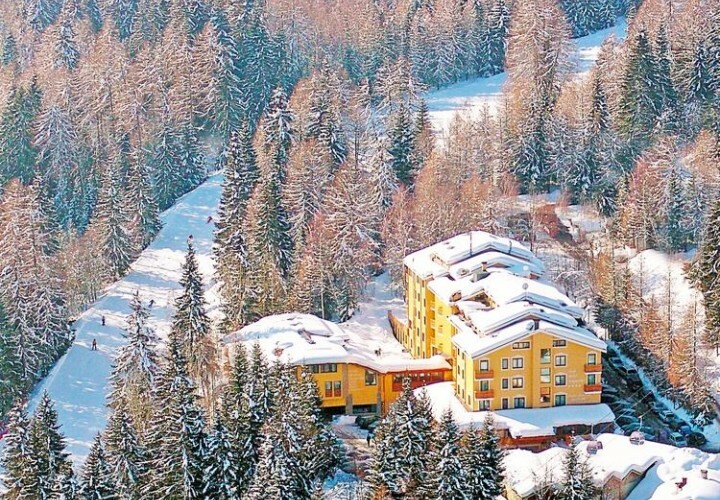 It is located only 9 km far from Madonna di Campiglio and surrounded by nature. Folgarida is the perfect destination for the winter-sports lovers and for those who want to relax on the mountains. The ski areas of Folgarida-Marilleva and Madonna di Campiglio consist of 120 km of ski slopes extended on the Dolomites and the Ortles-Cevedale massif. For the tourists that prefer other sports (rather than skiing) can have fun in the ice arena playing broomball. During the evening, the congress center "Alla sosta dell'imperatore" of Folgarida offers exhibitions, conferences and film showings; it is also possible to reach Madonna di Campiglio, one of the most glamorous locality of the Alps. Nordic walking, trekking and water sports in the Noce river can also be practiced in Folgarida. The surrounding uncontaminated landscape is characterized by fields dedicated to the agriculture and grazing lands. This locality is divided in: Folgarida Alta, from where it is possilble to fully enjoy the breathtaking view on the Dolomites and Folgarida Bassa, in the wonderful Val di Sole.